Explanation: How do distant asteroids differ from those near the Sun? To help find out, NASA sent the robotic New Horizons spacecraft past the classical Kuiper belt object 2014 MU69, nicknamed Ultima Thule, the farthest asteroid yet visited by a human spacecraft. Zooming past the 30-km long space rock on January 1, the featured image is the highest resolution picture of Ultima Thule's surface beamed back so far. Utima Thuli does look different than imaged asteroids of the inner Solar System, as it shows unusual surface texture, relatively few obvious craters, and nearly spherical lobes. Its shape is hypothesized to have formed from the coalescence of early Solar System rubble in into two objects -- Ultima and Thule -- which then spiraled together and stuck. Research will continue into understanding the origin of different surface regions on Ultima Thule, whether it has a thin atmosphere, how it obtained its red color, and what this new knowledge of the ancient Solar System tells us about the formation of our Earth. How much higher resolution will we see? And I thought they knew where and how the red color forms..? As for the red color, Ultima Thule is not the only Kuiper Belt object that is reddish. Pluto, for example, is too. 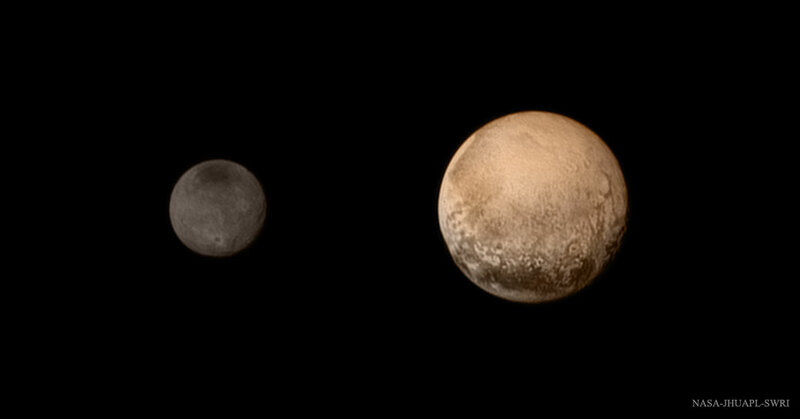 But how can it be that Pluto is reddish while Charon, moon of Pluto, is mostly grey? I'd like to have that explained to me. Wonderful picture! Almost looks as though it was sculptured! What kind of material is it composed of? <<Tholins (after the Greek θολός (tholós) "hazy" or "muddy"; from the ancient Greek word meaning "sepia ink") is an informal name given to a wide variety of organic compounds formed by solar ultraviolet irradiation or cosmic rays from simple carbon-containing compounds such as carbon dioxide, methane or ethane, often in combination with nitrogen. Tholins do not form naturally on modern-day Earth, but they are found in great abundance on the surface of icy bodies in the outer Solar System, and as reddish aerosols in the atmosphere of outer Solar System planets and moons. For the past decade we have been producing in our laboratory a variety of complex organic solids from mixtures of the cosmically abundant gases CH4, C2H6, NH3, H2O, CHO, and H2S. The product, synthesized by ultraviolet (UV) light or spark discharge, is a brown, sometimes sticky, residue, which has been called, because of its resistance to conventional analytical chemistry, "intractable polymer". [...] We propose, as a model-free descriptive term, ‘tholins’ (Gk ϴὸλος, muddy; but also ϴoλòς, vault or dome), although we were tempted by the phrase ‘star-tar’. Tholins are not one specific compound but rather are descriptive of a spectrum of molecules, including heteropolymers, that give a reddish, organic surface covering on certain planetary surfaces. Sagan and Khare note "The properties of tholins will depend on the energy source used and the initial abundances of precursors, but a general physical and chemical similarity among the various tholins is evident." Some researchers in the field prefer a narrowed definition of tholins, for example S. Hörst wrote: "Personally, I try to use the word 'tholins' only when describing the laboratory-produced samples, in part because we do not really know yet how similar the material we produce in the lab is to the material found on places like Titan or Triton (or Pluto!)." French researchers also use the term tholins only when describing the laboratory-produced samples as analogues. The reddish color typical of tholins is characteristic of many Trans-Neptunian Objects, including plutinos in the outer Solar System such as 28978 Ixion. Spectral reflectances of Centaurs also suggest the presence of tholins on their surfaces. New Horizons flyby of (486958) 2014 MU69 (Ultima Thule) revealed red color at the surface, suggestive of hydrocarbons and other organic compounds. Sagan and Khare note the presence of tholins through multiple locations: "as a constituent of the Earth's primitive oceans and therefore relevant to the origin of life; as a component of red aerosols in the atmospheres of the outer planets and Titan; present in comets, carbonaceous chondrites asteroids, and pre-planetary solar nebulae; and as a major constituent of the interstellar medium." The surfaces of comets, centaurs, and many icy moons and Kuiper-belt objects in the outer Solar System are rich in deposits of tholins. Neptune's moon Triton is observed to have the reddish color characteristic of tholins. Triton's atmosphere is mostly nitrogen, with trace amounts of methane and carbon monoxide. Tholins occur on the dwarf planet Pluto and are responsible for red colors as well as the blue tint of the atmosphere of Pluto. The reddish-brown cap of the north pole of Charon, the largest of five moons of Pluto, is thought to be composed of tholins, produced from methane, nitrogen and related gases released from the atmosphere of Pluto and transferred over about 19,000 km distance to the orbiting moon. In February 2017, organic compounds were detected on the dwarf planet Ceres, later identified as tholins. Makemake exhibits methane, large amounts of ethane and tholins, as well as smaller amounts of ethylene, acetylene and high-mass alkanes may be present, most likely created by photolysis of methane by solar radiation. Tholins were also detected in situ by the Rosetta mission to comet 67P/Churyumov–Gerasimenko. Tholins are not typically characteristic of main-belt asteroids, but have been detected on the asteroid 24 Themis. Tholins might have also been detected in the stellar system of the young star HR 4796A using the Near-Infrared Camera and Multi-Object Spectrometer (NICMOS) aboard the Hubble Space Telescope. The HR 4796 system is approximately 220 light years from Earth. Might some of the features like, the circular patches or lobes have been formed by the two bodies bumping into, rolling around each other, glomming together and then re-arranging themselves as they finally came to rest in this current state? Those two lobes sounds like they had some chemistry between them. Of course it could have been mutual attraction, friction and star-tar too. The 4th sentence begins with those exact words, and they link to a 30-second YouTube video for a company that installs windows. Does my PC have some rogue adware that added this, or does everybody see it? Yup, you're right. It is a youtube commercial for a window installer. Some free advertisements? But technically they are clever. It isn't a link to Ultima Thule. They spelt it Utima Thuli, which is probably gibberish so no copyright broken. Thanks! That was supposed to be a link to Brian May / Queen's new song / YouTube video on Ultima Thule. For some reason, I must not have set the link correctly. I have now fixed it, and apologize for the inconvenience. Is it a coincidence that Ultima Thule has two lobes very similar to Comet 67P/Churyumov-Gerasimenko on which the U.S. landed a probe? Please pardon my ignorance. EU/ESA rather than US/NASA. Yes, the four lobes look quite different, after all one is a comet, the other an asteroid. 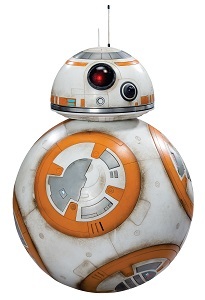 That doesn't change the fact that both objects are peculiarly divided into two lobes. I don't know what proportion of comets or asteroids are estimated to be contact binaries. But I suspect they aren't that uncommon. Welcome back Nasa!!!!! That was a long wait,esp with such an interesting new find to ponder. Oh, and Art: I like your Charon - Ultima Thule comparison. Puts things into perspective! Not an explanation more a guess. My guess would be Charon and Pluto didn't originate in the same place in the protoplanetry disc and found each other later. I find it very difficult to believe that Charon and Pluto didn't originate in the same place (in more or less the proposed manner). well as Charon average orbital speed around Pluto of 0.21 km/s. as well as Triton's average orbital speed 4.39 km/s. It would be difficult (though not impossible) for tiny Pluto to dynamically capture Charon (as Neptune did Triton) unless it resembled the ancient destructive collision that formed the Earth's Moon. And such an ancient collision should have left them with similar orange tholin colors by now. I suspect that Sputnik Planitia, the western lobe of Pluto's "Heart" (a 1,000 km-wide basin of frozen nitrogen and carbon monoxide ices with no craters) was caused be a recent collision with another much smaller Plutino and that a cloud of frozen water, nitrogen & carbon monoxide ices was thrown up at that time that coated most of Charon. Go scratch Charon and you'll find the true orange tholin surface, IMO. The plains on Pluto's surface are composed of more than 98 percent nitrogen ice, with traces of methane and carbon monoxide. Nitrogen and carbon monoxide are most abundant on the anti-Charon face of Pluto (around 180° longitude, where Tombaugh Regio's western lobe, Sputnik Planitia, is located), whereas methane is most abundant near 300° east. The mountains are made of water ice. Pluto is one of the most contrastive bodies in the Solar System, with as much contrast as Saturn's moon Iapetus. The color varies from charcoal black, to dark orange and white. Pluto's color is more similar to that of Io with slightly more orange and significantly less red than Mars. Notable geographical features include Tombaugh Regio, or the "Heart" (a large bright area on the side opposite Charon). Sputnik Planitia, the western lobe of the "Heart", is a 1,000 km-wide basin of frozen nitrogen and carbon monoxide ices, divided into polygonal cells, which are interpreted as convection cells that carry floating blocks of water ice crust and sublimation pits towards their margins; there are obvious signs of glacial flows both into and out of the basin. It has no craters that were visible to New Horizons, indicating that its surface is less than 10 million years old. The New Horizons science team summarized initial findings as "Pluto displays a surprisingly wide variety of geological landforms, including those resulting from glaciological and surface–atmosphere interactions as well as impact, tectonic, possible cryovolcanic, and mass-wasting processes." Plutinos (like Pluto itself) are in a 2:3 orbital resonance with Neptune alternately passing through Neptune's L4, L3 and L5 Lagrangian points in that order. My proposed recent Pluto collision might have occurred with stable material in Neptune's L4 or L5 Lagrangian points rather than another plutino.